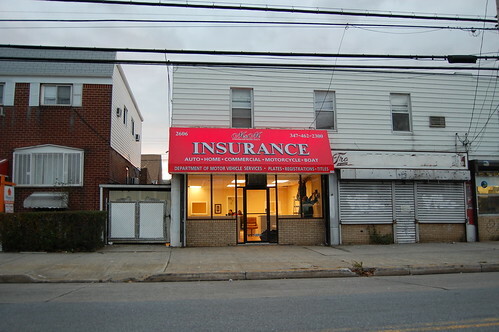 M & M Insurance replaced what used to be Liberty Fitness. From what I can make out of the sign from the soccer fields its going to be an INSURANCE store where they will also offer DMV service. Nothing written in Russian on the awning? If they do DMV stuff, that’s pretty convenient. Absolutely. If they are a broker thats great. They can give you options on what you currently have. It can’t cost anything to check em out.